Patrick Gleason is a comic book artist. Among his credits are the 2005/2006 miniseries Green Lantern Corps: Recharge. He has also worked on such titles as Aquaman, JLA: Welcome to the Working Week, JSA, Noble Causes, H-E-R-O, and X-Men Unlimited. 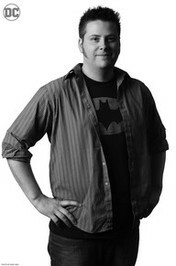 He has been the regular penciller on DC's Green Lantern Corps since its debut in 2006. Patrick Gleason isn't a Goodreads Author (yet), but he does have a blog, so here are some recent posts imported from his feed. 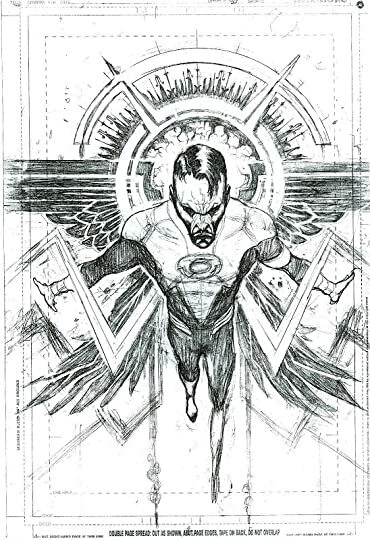 This is the unfinished pencils of Green Lantern Corps 35, out this week. Sorry I couldn't find the inks, but hey you only have to wait a day or so right? “-¡Soy Abush! ¡Hijo de un millar de reyes de la antigüedad! ¡Heredero de los sagrados montes y valles y de las gloriosas bestias que los habitan! ¿¡Qué derecho tienes a proferir tan arrogantes exigencias!? ¿¡Quién te crees que eres, niño!? “-Tu "mano a mano" ha sido acertado. -¿Te refieres a mi "mano a diente"? No te mentiré, me ha sentado bien. -TT. No has hecho más que ahorrarme problemas. Llevaba un tiempo medio suelto. -¿Medio suelto? ¿Por alguna pelea? -Entonces, ¿qué? Tío. No me digas que aún tienes... ¿dientes de leche? Is this you? Let us know. If not, help out and invite Patrick to Goodreads.